Japanese Professional basketball league B League Albark Tokyo, Alex Kirk's. 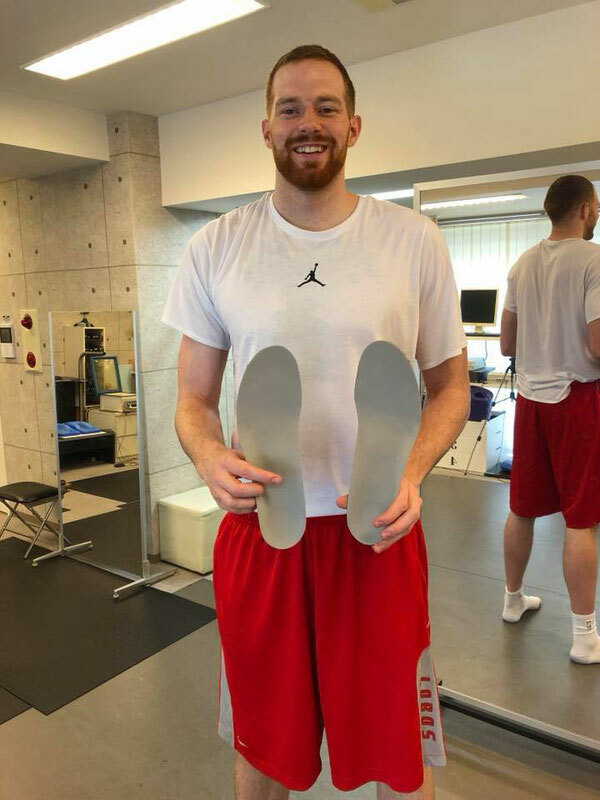 FootTrainers made his insole. He has the experience of playing in NBA Cleveland, the height of 211 cm and the size of the shoes 35 cm is the largest size in the history of FootTrainers. He is a high arch and has many turns in basketball. It is NG to harden the arch too hard with the insole. In this time we chose the material considering the weight and created a flexible arch support insole. After practicing using insole, He gave me a message in his twitter and instagram.